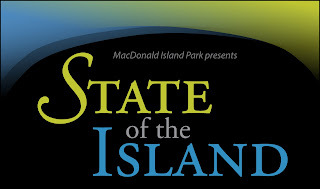 COO of MacDonald Island Park, my friend Tim Reid, spent a lot of time sharing numbers with the almost 570 guests at the annual State of the Island banquet. Some of the figures were hard, like total concert ticket sales and annual golf memberships; others were soft, like total amount of grass cut at Miskanaw Golf Course and the number of kilometres traveled by the Zamboni. The effect of sharing numerical facts, both concrete and creative, was to leave this very influential audience with the assurance that this is a facility that is vibrant, important and worth supporting. 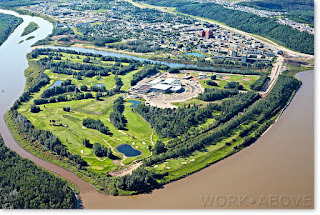 We have been confidently describing MacDonald Island Park as being the largest recreational facility in western Canada since shortly after the redevelopment opened. We have a new message to share after last night. "We did some research on all recreational centres in Canada that claimed to be the biggest," said Reid in his State of the Island address. "Then we called them and asked just how big they were. Based on what we found and to be best of our knowledge, we are actually the biggest in the country." If we're the biggest now, imagine what we will be once the football and baseball stadiums are built along with the nonprofit facility. "Size matters," quipped someone at the table to our right. Paul McWilliams and his marketing and advancement team created a wonderful commemorative piece that provided a pictorial reflection of the amazing year of major events, celebrations and growth. 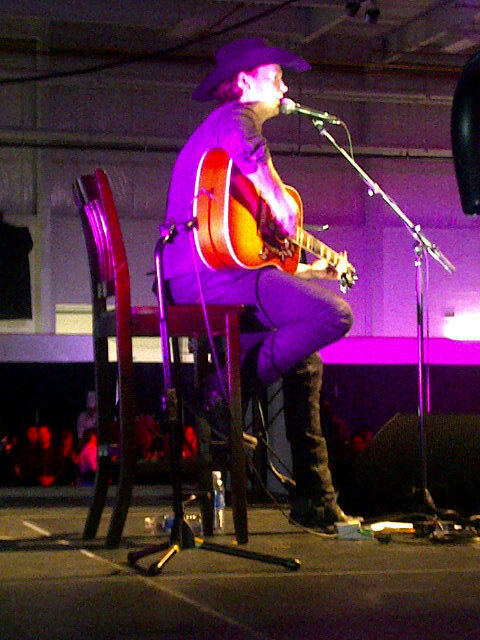 From the unforgettable Northern Classic outdoor hockey game to the gathering of the largest audience in Fort McMurray history with the KISS concert, from the Play On hockey tournament to the Speedo Long Course Provincial Championships, MacDonald Island has been an amazing gathering place, a treasured destination for families, and a "jewel" in our crown that is an essential stop on any guided tour of our region or recruitment pitch. At the end of the day, MacDonald Island's success has always been rooted in people. The staff who keep the building in shipshape, set-up for gargantuan events, and interface with thousands of guests each and every day are the reason this Island Playground has been so successful. The MiTeam, decked out in their traditional (and "slimming") orange, are easy to pick out and always willing to lend a helping hand or answer questions. Tim and his leadership team have also done a tremendous job of sharing the spotlight with their 320+ staff who are integral to the "buzz" you experience when you walk into this facility, as beautifully described last night by board director Mike Cachia. "Every single time I walk through those doors I get a tingle," said Cachia. "And I'm here an awful lot!" The highlight of the event for me, apart from enjoying the wondrous buffet, was the introduction of the first inductee in the MacDonald Island Park Walk of Honour. 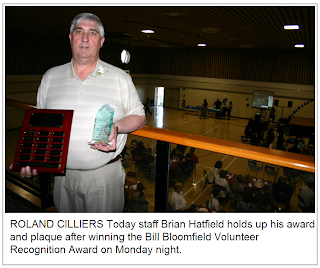 After years of providing selfless service to this community, organizing charity golf tournaments, and being one of the key drivers of the miraculous Kids Forever program, retired Syncrude Welding Coordinator Brian Hatfield was swept to the stage by an exuberant and heartfelt standing ovation. What a perfect choice by the board at the start of a recognition program that will leave a leadership legacy for generations to come. 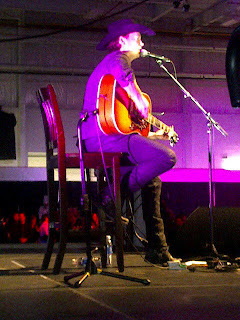 Country music superstar Paul Brandt provided the surprising exclamation point at the end of the State of the Island sentence. Congratulations to everyone who contributed to a wonderful celebration and an amazing year.